Note: This is a double Torah portion. To learn more about double Torah portions, read here. As the Messiah went to Heaven after His resurrection, so we, who simulate His death and resurrection and assentation to Heaven when we are baptized, so we appeal to God as followers of the Messiah Yeshua and participators in His death, burial, and resurrection, when we are baptized, because we are subjected to Him, that is, to the Messiah. The Torah Reading this next Shabbat is Tazria (She will have seed) – Leviticus 12:1 – 13:59. From the prophets, the reading is from 2 Kings 4:42-5:19, and the reading from the New Testament is from Mark 15:1-16. The two commandments in the text of Leviticus 12 are to circumcise a male child on the eighth day, and the mother will be unclean for 33 days and after these 33 days she shall be purified in the temple. Luke makes it totally clear that baby Yeshua was circumcised on the eight day as the Torah demands and the name Yeshua was given to him after the circumcision. This same custom is still the way things are done in every Jewish Community in the world. The name of the boy is given during the circumcision ceremony, and not before. All was done as it is written in the Law of the Lord. This means that Miriam waited 33 days in her impurity before the baby Yeshua could be taken to the temple to be presented before the Lord. What does all this mean? Yes, first of all it means that Yeshua is a Jewish baby that His family is raising Him strictly as it is commanded in the Law of the Lord, i.e. in the Torah. It is clear from this text in Luke that Miriam and Joseph are raising this baby according to the Torah. In Leviticus, we learn that people who could not bring a bull or a sheep as a sacrifice would bring two turtledoves or two pigeons. If they would have been even poorer, they could have brought a handful of grain anointed with oil. From this we must learn a very important lesson. God does not look at us in absolute terms. God looks and sees us relative to who we are, how rich we are, how gifted and blessed we are. The principle that Yeshua spells so clearly is the way God looks at us as His children. The whole sacrificial system of the Torah is relative to who the sinner is, and whether he is rich or poor, and what the sin committed is in relationship to the place and time in which that sin is committed. This principle of the Torah and of Yeshua is of great importance for every community of believers in God and disciples of Yeshua in the world. Because what I have seen in the years of my walking with Yeshua and observing churches and congregations around the whole world is that many of the leaders don’t know this very important Torah principle and judge every brother and sisters with the same cookie cutter. This cookie-cutter approach to every problem and situation in the congregation has created much injustice, pain, and destruction in the body of the Messiah. Leaders, put yourselves in the place of the brother or sister who has sinned and then take the principle of relative sin and relative atonement and relative price for this sin. This is what the character of God demands, and this is what the grace of God dictates. We must all remember that the love of God is much greater and more powerful than His wrath and anger against His children. Always consider who the sinner is, what should be expected of him, what he can do as his repentance and confession, and how much potential this person has to corrected and be restored. For almost every law and rule in the Torah there is at least one exception that the Bible gives us. We must remember that the Lord is not a legalist. He judges each of us as individuals and tailor makes us a suite of love and grace, and at times when there is no other option, serves us with some hardship and punishment as in some of the most difficult stories in the Bible in which God seems cruel and harsh: like the flood in the days of Noah or the death of the sons of Aaron, Nadav and Abihu, who brought the strange fire to the altar and were devoured by fire from heaven. This week in all the synagogues the world over read Leviticus 12:1-13:59, in Hebrew this reading is called Tazria – that means to sow a seed. Sowing a seed is a major theme in the New Covenant. The term seed or sower appears 22 times in the New Covenant. Out of the 22 times that the term is used in the New Covenant 15 times are in the Gospels and seven times in the epistles. Sowing seed and harvest are important themes in the Bible in general, and in the teaching of Yeshua in particular. What is special about sowing seed? First, the final product is much more valuable than the seed itself. No one sows seed in order to get the same benefit as the seed that is sown. Everyone that is sowing a seed expects to harvest much more than the seed that he put into the ground. Second, the sower of seed has expectation to have a big harvest and profit from his work and from the seed that is put into the ground. Third, the majority of the places that the word “seed” is used in the Bible is not talking about plants or trees or vegetables or herbs. The word “seed” in the Bible is mostly used to speak about people. Even in this text that is read in the synagogues this week the topic is people and not plants. Now this text is very important for those of us who study the Gospels because it elucidates the events that follow the birth of Yeshua. In the Christian world, the birth of Yeshua is a very important event, and there are nativity scenes in paintings and olive wood carvings, and statues of marble and bronze and even from silver and other materials. In every nativity scene there is always a donkey and a cow, and few ask themselves why is it that in European art that depicts the birth of Yeshua there is always a donkey and a cow. This is the reason why the Christmas scenes have the ox or cow and the donkey. The people forget that Yeshua was circumcised on the eight day, according to the Torah, and Mary and Yeshua were taken to the Temple when the period of their purification was over, according to the Torah of Moses. People seem to forget these verses and the fact that Yeshua is a Jew and that you can’t love Yeshua and hate the seed of Abraham, from whom the Messiah came and to whom the Messiah was promised and whom the Messiah will ultimately save. What we need to remember is that Yeshua is the one seed that actually stands for all the Seed of Abraham, the people of Israel, the Jewish Nation. He is our representative who fulfilled the task that was given to the nation to be a light for all the nations and all the families of the Earth to receive the blessing of Abraham. However, Christians need to remember that receiving the blessing that was promised by God to Abraham is conditional of being a blessing to the Seed of Abraham – the nation of Israel. If you don’t believe me, go read Genesis 12:1-5 again and from there go to Genesis 13:15-16, and if you still don’t get it keep reading the Word of God. In this week’s Torah portion, we learn about skin diseases that can cause impurity. These particular diseases required a separation between the unclean individuals and those that were healthy. What Does Leprosy Mean for Us Today? How are diseases that have long since been cured by modern medicine relevant to us today? A person who was declared by the priest as having a defiling skin disease had to move out of the camp, and everything that that person touched was considered to be unclean. One of the skin diseases that we learn about in this week’s parasha is leprosy, which has been vanquished by modern medicine. Though discussing it may seem irrelevant today, we are faced with the challenge of finding a new meaning amongst the seemingly unrelated diseases that appear in our reading. Leprosy is a skin disease which is mentioned in the Bible as being a serious and contagious infection with no cure. In Jewish thinking and understanding, the cause of the disease is a punishment for one’s negative behavior, especially for slander – when we hurt people and embarrass them in public, through gossip, or by speaking badly about them behind their back. It’s very easy to start talking poorly about others or to partake in listening to hurtful gossip. It’s hard not to believe slander when we hear it, no matter how many times we discovered it to be false, without any shred of truth. Negativity has power; we tend to remember the downfalls or faults of others before we think of their positive attributes. When we say or hear negative stories about other people, we feel a degree of satisfaction. It’s a sensation of feeling full after devouring another person. From innocent, happy children who see the good, beautiful, and the fun in everything, we’ve become wary adults who are experts in finding the unacceptable, the different, and the bad in others and in the world. The ironic part is that we like things that way, we even enjoy it. It seems as if today that the category of sinful speech is one that no one is ashamed of anymore. I think that most of us are guilty of sinning in this category nor do I think that anyone would have a problem confessing to this. On the other hand, however, if I were to ask if anyone sinned in the categories of impure thoughts, theft, and fraud – no one would confess. This is because these these things are thought of as being more shameful. The big question is, how do we get out of this situation? The leper, the one who spoke evil and hurt others, goes out in isolation outside the camp, away from the group. Outside there’s no one to talk about, and there begins the mental process of purification, which leads to the purging of the disease. Then, the leper is immersed in water, shaved of all body hair, and only after that can start life over again. This is a reference to being born again. In our understanding, one who is born again is an individual who declares that he believes in God and considers Yeshua to be his personal Savior, and from that moment on he dedicates his life to God. That person is immersed in water and comes out as a new person, this signifies the death of the old man and his sin, and his resurrection as a new beginning. Even as a nation, God gives us a second chance and a new beginning. God cleanses us over and over, and He gives us countless possibilities to do so for one main reason that repeats itself dozens of times in the Torah – that we would be His people, and He would be our God. As a result, we are commanded to keep and to do God’s commandments. 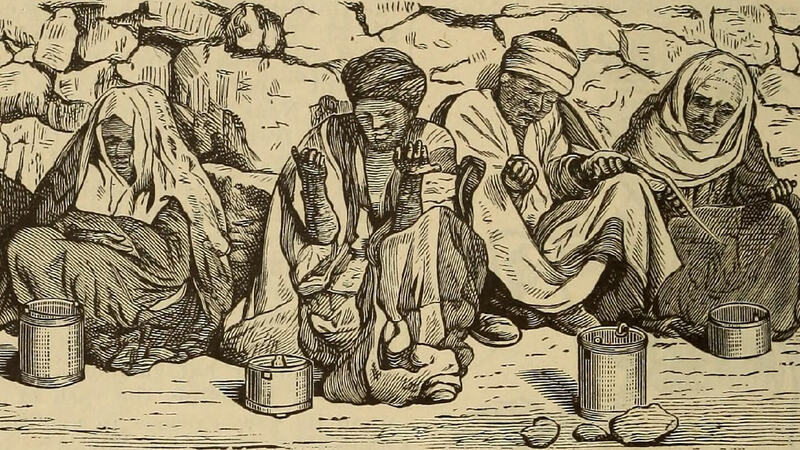 There were times in which Jews were considered by the nations of the world to be lepers. We were rejected and pushed out of the camp. God promised that this would change, the world would see the people of Israel as a blessing, and they will want to be near us. In fact, we see this trend growing stronger today. The reason for this is Yeshua, who was crucified as King of the Jews. Believers from all over the world want to take part in His kingdom, they want to share in this blessing, and so they draw near to the King of the Jews and His people. When I look for a relevant meaning for this parasha, I understand it as being about rejection, be it rightfully or wrongfully. Even today, we see those different from us as being ones who we would want to keep our distance from, we want to push them out of the camp, just as the leper is cast out. Be it because of the color of their skin, their race or nationality, religion or faith. We are often times most afraid of a person who shares our religion, faith, race, or nationality, but holds a theology that is different from ours. It’s as if we feel compelled to keep our distance. We see the person with the different theology as being dangerous, someone who could infect us with the “modern leprosy” of thinking outside of our theological box. Could it be that the word of salvation, of redemption, of success could come from the mouth of a leper? This happened in the haftara of this week’s Torah portion. Can it still happen today? Will we be able to receive the message, the truth? Most importantly, as far as I and the work of Netivyah are concerned: Will the people of Israel be willing to hear the gospel of salvation from the mouth of a Messianic Jew? Our haftara reading this week is 2 Kings 7:3-20. In the chapter preceding the haftara, we are told of the great famine in Samaria, which was caused by the Aramean siege. The Aramean army encircled the city of Samaria and completely cut it off it from all supplies in order to conquer the city. The famine in Samaria was terrible, people were starting to eat their children, they were in complete despair. The king wanted to kill the prophet Elisha. Elisha turned to the king and promised salvation, but it was difficult for the leadership to sustain hope during such a desperate and difficult time. Our haftarah begins with chapter 7 verse 3, there we focus on four lepers, who were in anguish even more so than the inhabitants of the city. They had almost died of starvation, so they decided to take a final risk of going to the camp of Aram to ask for mercy. Even if they were to get killed, it wouldn’t matter, they said they’re already dying of starvation, but maybe the soldiers of Aram will throw some crumbs their way. I think the four lepers made a lot of noise as they approached, because they did not want the guards to see them sneaking in like spies, or like an observation or assassination team. They wanted to draw the attention of the Aramean soldiers and ask for a few crumbs of bread out of pity. When the lepers arrive at the camp, they found it abandoned, and scripture tells us that God made the sound of the lepers’ approach as the sound of a mighty army, so that the Arameans thought that the Egyptian army had come to fight them. The result was that the army of Aram fled, and left everything behind – food, silver, gold – all their property. Our lepers begin to plunder the camp, but they start to feel guilty. One of them rose up the nationalist sentiment, despite the fact that they were kicked out of the city during the siege. After the king confirmed that this was not a trap, the people went out of the city and were saved, just as Elisha prophesied. You could look at us, the Messianic Jews, as those who are infected with leprosy. The rest of the inhabitants of the city don’t want to come into contact with our theology. In regards to the internal Jewish dialogue, they have kicked us out of the camp. But it’s us who have the opportunity to bring the report of Yeshua, who is sitting and waiting right around the corner. I suppose that the people of Israel want to check and see if this is some sort of Christian trap, designed to get them to convert their religion. However, we are tested as well. What report do we bring? A report of Judaism or of Christianity? Will the people, after coming to faith, remain faithful to the Torah and to the traditions of their ancestors and Jewish identity? The gospel we preach should lead to the fact that we can truly and honestly say “yes” to all of these questions.